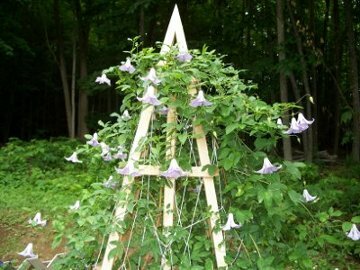 Betty Corning Clematis: large, lush and lavish. tall every April and by June she's overrunning the place! Give her LOTS of room. 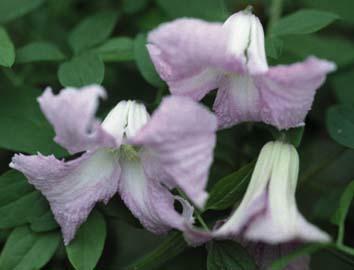 Betty Corning is one of the few clematis that are fragrant!